Can you hear her? I certainly can. She's singing loud and clear announcing the end of my holiday. I've had a wonderful break and I'm very thankful. Tomorrow is the first day back in the office, and I have over 400 emails to go through. This excludes silly emails from IT and others - I deleted those once a day from my Blackberry. Oh god! Good Luck! I hate those pile ups! I tend to check my mail once a week to try to soften the damage! 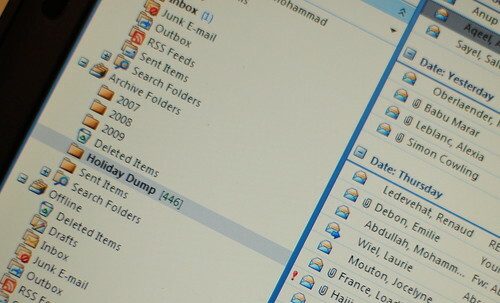 :) I had to 'dump' the emails otherwise my inboc would get clogged up. I spent about 10 minutes every day clearing the urgent messages and deleting unnecessary ones. If I'm spending more than that a day - it wouldn't have been a real break. Welcome back!! Goodluck with getting back to work! Hopefully it won't be too hectic!